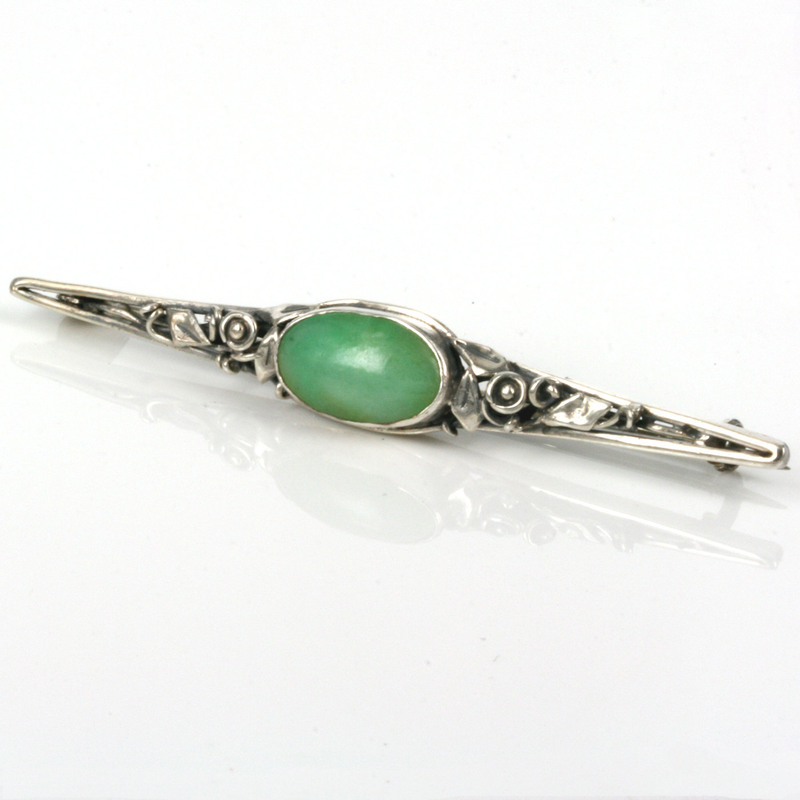 Product code: Q793 Categories: Sold Items, Sold Jewellery. Without a doubt, one of Australia’s most influential female jewellers was Rhoda Wager, and here we are so proud to offer a magnificent signed Rhoda Wager brooch that has the style and design that has made her jewellery so distinct. 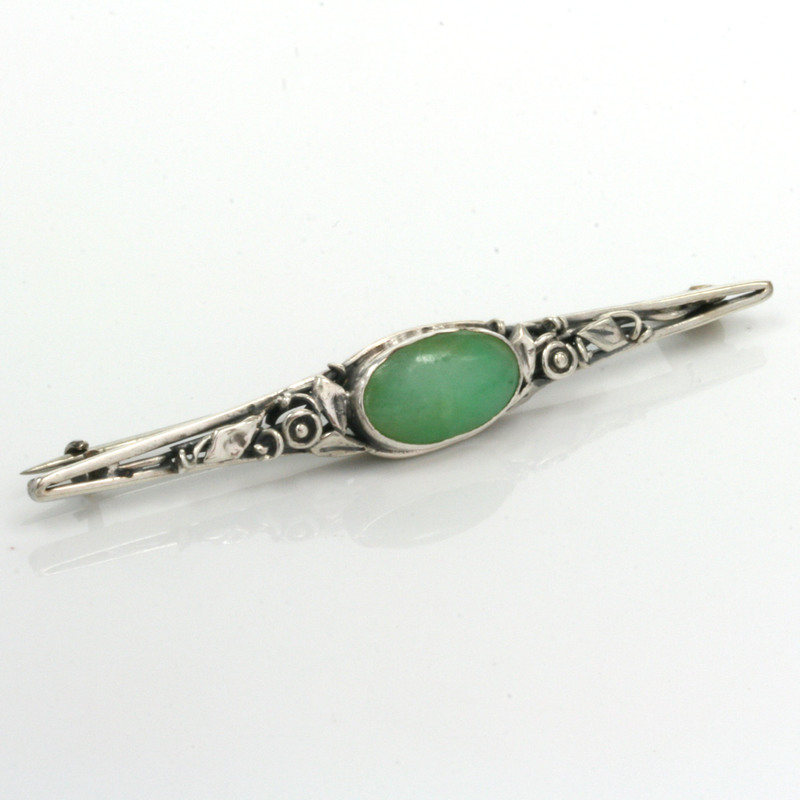 This lovely Rhoda Wager brooch is set with an oval green jade with detailed work so typical of her style. The brooch measures 6.2cm across by 9mm at its widest part in the centre and looks so good when worn level or even at an angle. Signed on the back with her mark of “RHODA”, this is a wonderful piece of Australian history that can be worn and be admired at the same time. To find a signed piece by Rhoda Wager is just wonderful and this Rhoda Wager brooch is certainly no exception. This is a truly beautiful signed Rhoda Wager brooch for any collector and one that will be so cherished and adored.